Amazon publishing: Scaling back after a long line of retreat. Even if Amazon’s book sales fall, the company can probably stand to take the beating. Larry Kirshbaum, head of Amazon’s New York and Seattle adult and children’s publishing imprints, is leaving the company—and with his departure, Amazon publishing operations will be scaled back, according to Shelf Awareness. The news comes after years of other editorial departures and layoffs and amid Amazon’s recent absence from major book biddings. Shelf Awareness is reporting, however, that Amazon will continue with its more specialized publishing imprints, including mysteries and science fiction. 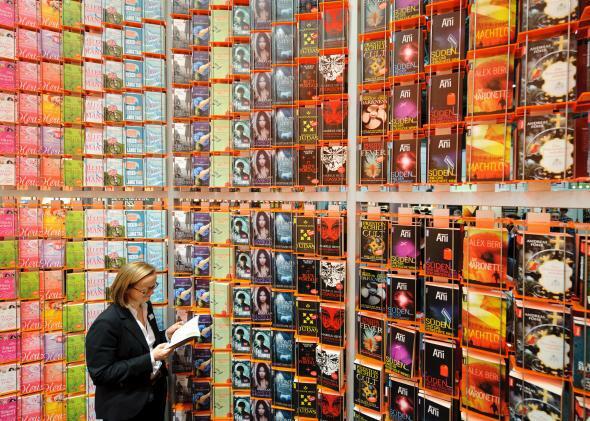 No matter what, Amazon’s role in changing the publishing industry has been critical. Any withdrawal it makes from the industry now will be just as important as its entrance was—although other publishers will be much happier to see its operations contract. Brad Stone, author of the new book The Everything Store: Jeff Bezos and the Age of Amazon, compared Amazon’s pursuit of contracts to a cheetah pursuing a sickly gazelle. That sounds about right.